There are a lot of moving parts in the purchase of a home and assembling a good team that you are happy working with is really important! Of course finding an agent to work with to help you find that home is the first thing you may think about but the “team” also consists of a mortgage broker, home inspector and a real estate lawyer. We can help guide you through that process of prurcahsing in the Regina area and refer you to great qualified people in those industries as well. (1) We want to show you properties that not only meet your wants & needs but also fit your budget. So knowing what that number is before you start the process allows us to focus on the right options for you. (2) Having pre-approval and a mortgage broker who knows that you are actively in the process of house hunting will help to make the official financing approval more seamless when you have an accepted offer on a property. It is standard to have a condition to your offer to allow a time period for financing approval and the time required is reduced when your broker has a head start! You may choose to deal directly with your bank and their mortgage professionals or choose to deal with a mortgage broker. Think of a mortgage broker as a matchmaker….they match up homebuyers and lenders and find the best option for you based on your specific situation. If you choose a mortgage broker, you work directly with them and they act as an intermediary between you and the lender. 2. We always recommend a professional home inspection be completed on the home you are potentially purchasing so you have the peace of mind of knowing what things you may need to address in the short or long term and can plan for those items in the future. A home inspection is an objective, professional examination to visually assess a homes’ interior & exterior features and systems. The purpose is to provide the client with a better understanding of the property conditions, as observed at the time of the inspection. The report you receive identifies not only the positive aspects of the home, but points out the defects or repairs (major or minor) that you may not have been aware of. This provides you with the opportunity to budget for those repairs or upgrades and to make an educated decision on the final purchase of the home based on that information provided. Knowledge is power! 3. 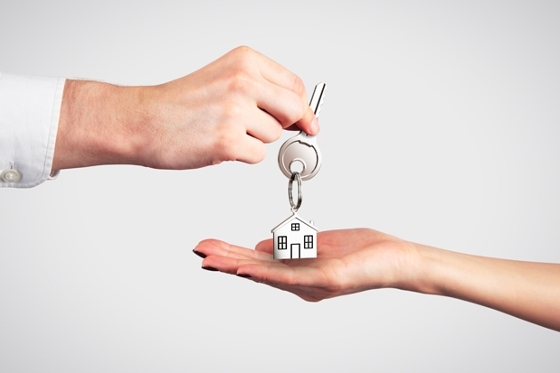 Choosing a lawyer is the final step in your home purchase process. It's essential to have a lawyer handle all the various legal documents involved in the purchase of a home and we recommend choosing a professional who is experienced in real estate law. We can help you with referrals and get an estimate of all the legal costs you can expect including the land titles transfer fees which are standard in any home purchase. The good news is that when you work with a realtor to purchase your new home we help coordinate and facilitate the transaction from the showings & offer process, the home inspection, and providing all documentation to your mortgage broker/lender and lawyer. We are with you from the beginning of your house hunt until move-in day! Our goal is to help make your home purchase a simple and enjoyable activity. If you are starting the process of looking for a home or condo in the Regina area, and have questions, whether it is new or resale, we are here to help.